The story of the apple is nowhere more prominent than in Co. Armagh, the orchard county of Ireland and the fruit is thought to date back to over 10 million years ago. Here the apple can be traced back to the days of Saint Patrick, when he is credited with planting an apple tree at the ancient settlement of Ceangoba, east of Armagh City. The modern history of apple growing in the Orchard County of Armagh, begins not in Northern Ireland, but in the village of Southwell in Nottingham. In 1809, Mary Anne Brailsford planted a seed in her garden. Matthew Bramley bought the property years later and the seed and tree took his name. Henry Merryweather, a young nurseryman, spotted the tree’s potential, taking cuttings from the tree and recording the sale of three Bramley apples in 1862. In 1884, Mr CJ Nicholson of Cranagill House, Loughgall, bought 60 Bramley seedlings from Henry Merryweather and introduced them to Co. Armagh. 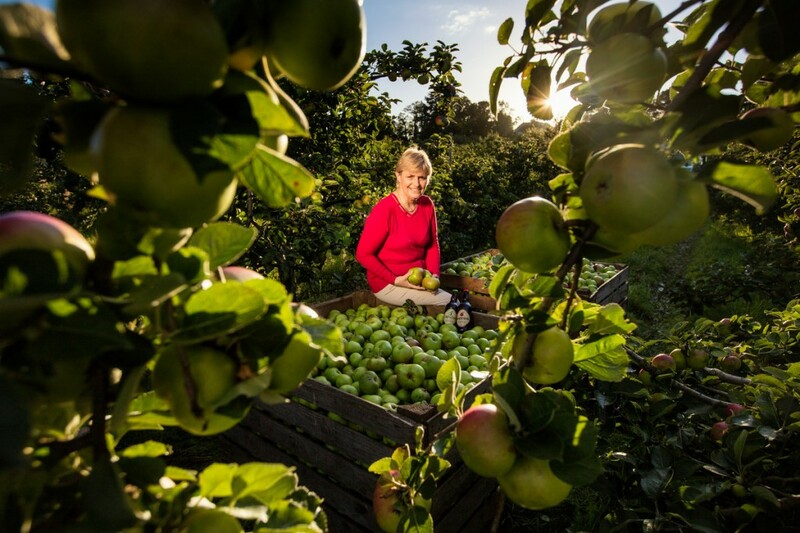 The orchards now produce more than 40,000 tonnes of Armagh Bramley apples each year – that’s 35 million apples! In 2012, the Armagh Bramley Apple became part of a premium food club when it was awarded Protected Geographical Indication (PGI) Status under the EU Protected Food Name Scheme. This status ensures that the Armagh Bramley Apple is ranked alongside the world’s premium protected food products – like Champagne and Parma Ham! Armagh Cider Company is owned by Philip and Helen Troughton of Ballinteggart House, outside Portadown in County Armagh. In 2005 Philip Troughton decided to produce his own cider, using the Bramley apples produced on his farm. All of the products produced by the Armagh Cider Company are artisan and hand crafted to ensure a completely natural product containing no artificial ingredients or flavours and bursting with natural flavour. 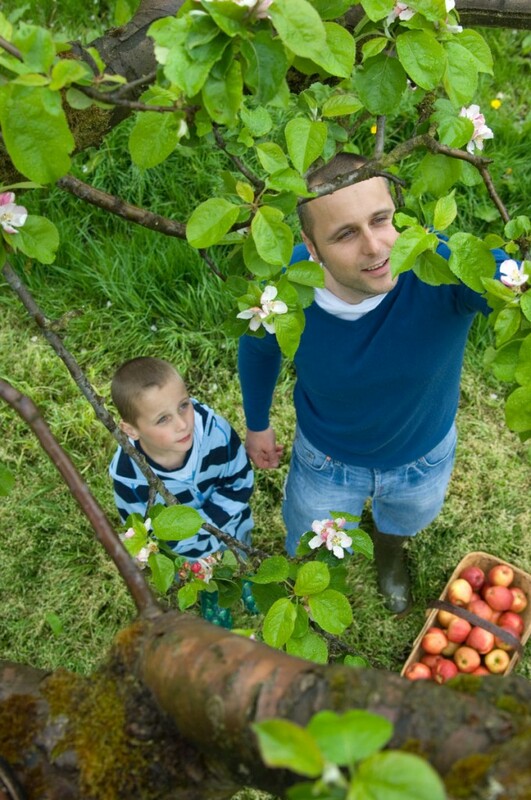 Not only are the apples used for producing cider, but they are also a premium cooking apple used in many apple based desserts and recipes throughout Northern Ireland. So if you fancy a sweet treat, why not try your hand at this Armagh Apple & Blackberry Crumble recipe from Balloo House. 1. Preheat oven to 180C. Peel, core and cut apples into 5mm size slices and sauté in butter. Add sugar and cinnamon. 2. Continue stirring until apples are just cooked. Add blackberries and the lemon juice to the apples and stir very gently. 3. Lightly rub the butter into the flour, sugar and lemon zest until crumbly. Add the hazelnuts. 4. Spoon apples and blackberries into a shallow oval dish. Sprinkle crumble mixture over top until fruit is just covered. Place in oven for 20 minutes or until light golden brown.